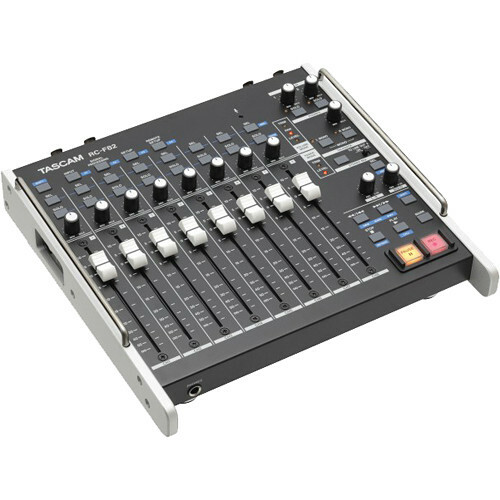 Adding to the mixing facilities of the HS-P82 8-Channel Field Audio Recorder, the Tascam RC-F82 Communication/Control Surface is a mix controller, fader controller, and talkback system for location recording applications. Eight 100mm faders control the 8x2 mixer or preamp trim on the HS-P82, allowing a stereo mix to be recorded in addition to the eight discrete tracks. Eight encoders can control trim, level, or stereo pan. In addition to control, the RC-F82 Communication/Control Surface has audio input and output routing with talkback for on-set communication. The combination of the HS-P82 and RC-F82 is a reliable solution for on-set recording with mixing and communication. Box Dimensions (LxWxH) 15.1 x 14.0 x 6.2"